With sales volumes falling production of the FIAT Dino Coupé and Spider was moved from FIAT’s production facilities in Turin to Ferrari’s at Maranello in 1969. 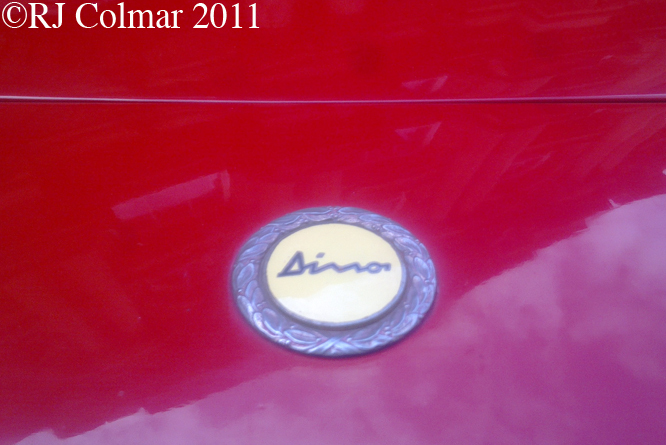 Amongst the changes to the specifications of the Maranello built FIAT Dino’s was an engine upgrade to the larger 178 hp 2.4 litre / 146 cui version of the Dino V6. An iron block replaced the aluminium block of the smaller motor but aluminium heads were retained. Curiously although the FIAT and Ferrari, as used in the mid engined Dino 206 & 246 GT’s, motors all came from the same production line in Turin Ferrari always liked to quote higher hp figures for ‘his’ motors than FIAT. The FIAT Dino’s Girling disc brakes are said to be interchangeable with those fitted to the de Tomaso Pantera and Lamboughini Miura. With the Pininfarina bodied FIAT Spider being built along side the Pininfarina bodied 246 GTS there was not much to tell the two vehicles apart for anyone except the FIAT marketing department. 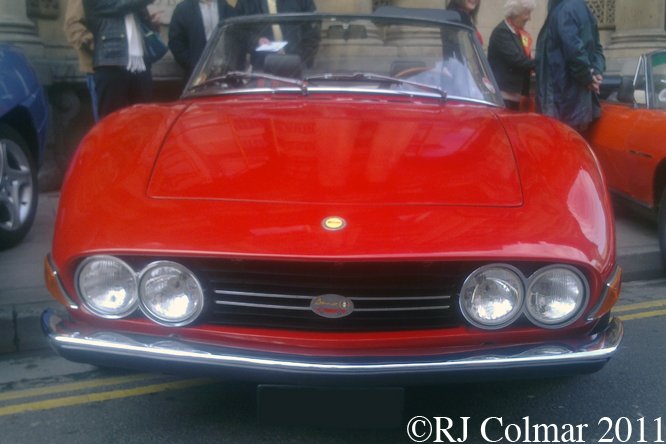 Of the two models the FIAT Dino Spider with only 424 examples built is the rarer against 1,274 Ferrari Dino GT Spiders. When production of the FIAT Dino Spider moved to Maranello the original live axle and leaf spring rear suspension was replaced with a coil sprung independent rear suspension which shares much in common with the FIAT 130. 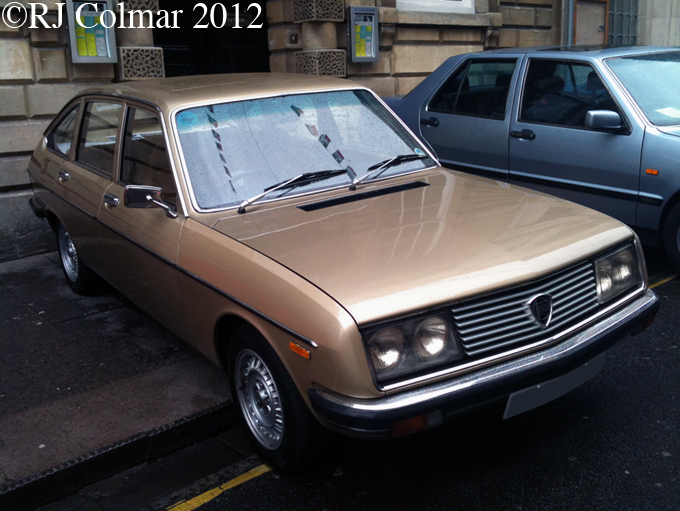 Today’s featured 1970 model, seen at last years Bristol Italian Auto Moto Festival was acquired as a non runner in 1987 and has been gradually restored ever since. Thanks for joining me on this “When Is A FIAT A Ferrari” edition of “Gettin’ a li’l psycho on tyres, I hope you will join me again tomorrow. Don’t forget to come back now ! 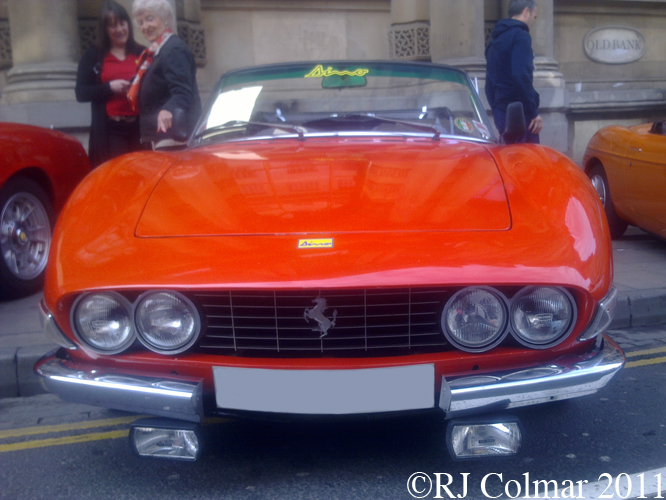 This entry was posted in Uncategorized and tagged 2.4, Auto, Bristol, Colmar, Dino, Ferrari, Festival, Fiat, GALPOT, Italian, Moto, Pininfarina, Ralph, Spider on July 13, 2012 by Ralph. 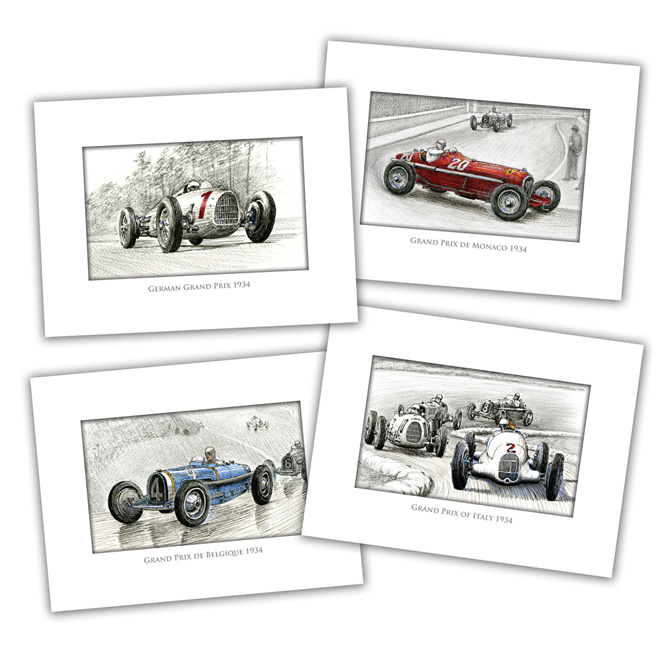 For 1966 the second tier open wheel Formula 2 regulations called for an engine size of up to 2 litres / 122 cui with a maximum of 6 cylinders based on a stock block of which at least 5,000 copies had been manufactured. 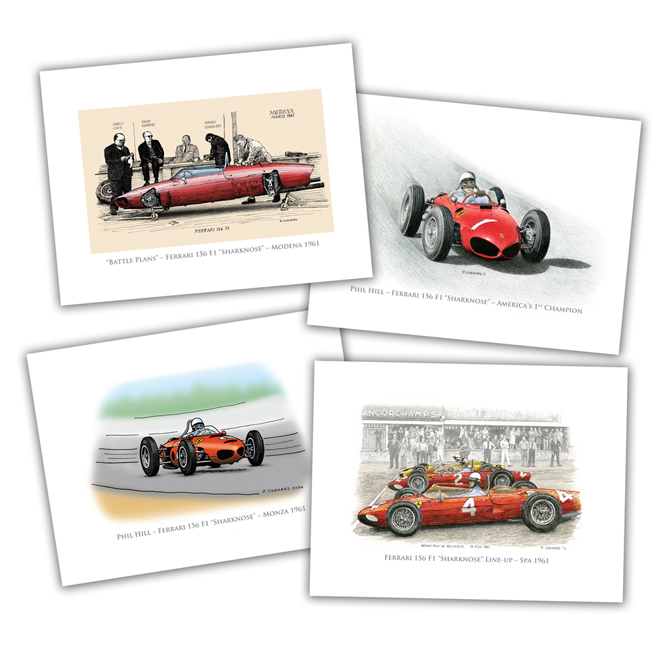 Ferrari had an engine of the requisite size and number of cylinders, known as the Dino V6 which had been evolving through sports car and formula one racing since 1957 to win the 1958 and 1961 World Drivers Championships and even the 1965 European Hillclimb Championship. 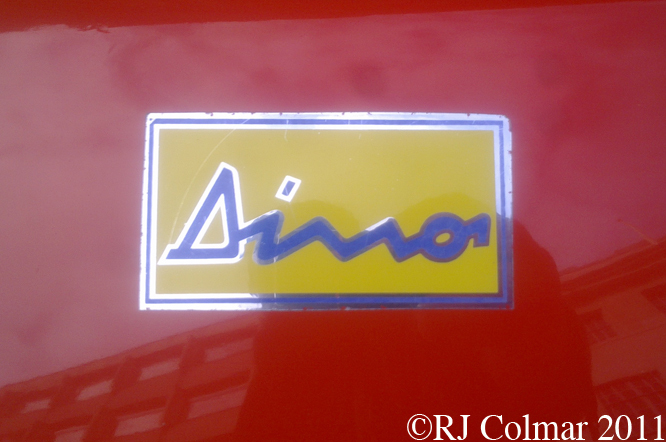 However Ferrari had not come close to manufacturing 5000 of any model at the time and so a deal was struck with FIAT to manufacture the FIAT Dino in sufficient quantities to meet the 5000 unit regulation required for Formula 2 homologation. In 1966 the FIAT Dino was launched as an open top spider with bodywork by Pininfarina, using a 158 hp 2 litre / 122 cui Dino V6 to power it. A coupé version was launched in 1967. 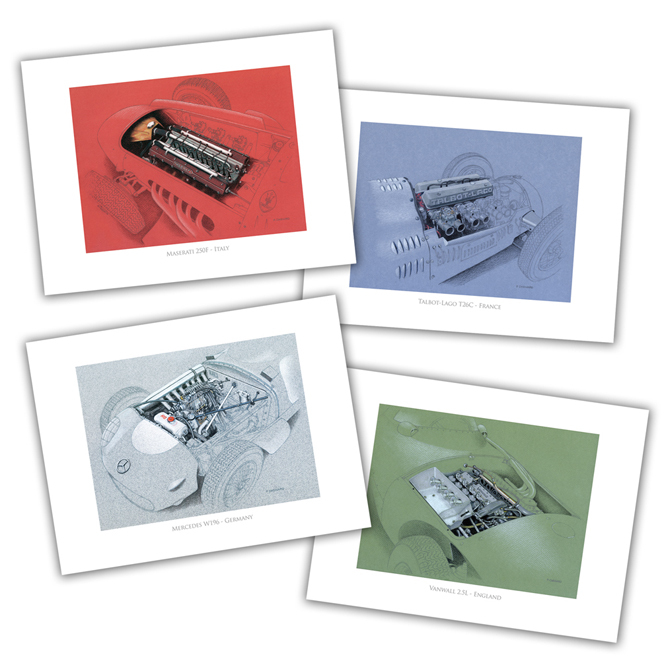 Interestingly FIAT insisted on producing the Dino V6 engines in Turin to ensure there were no breaks in the supply, which was against plans envisaged by Enzo Ferrari who hoped to build the engines at Maranello. 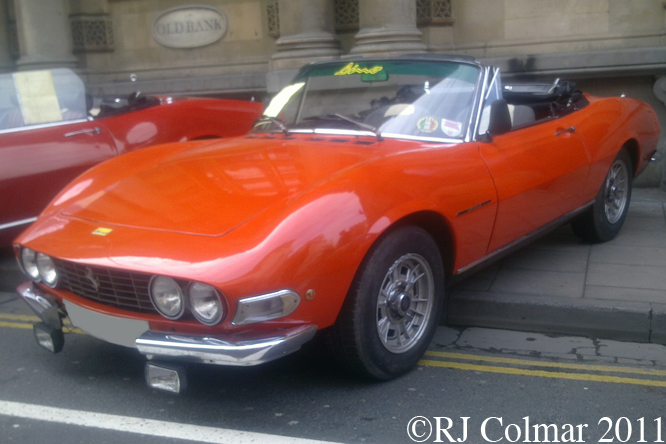 The 1967 model, seen here at last years Bristol Italian Auto Moto Festival, has belonged to the same owner since 1979, it’s motor was rebuilt in 2007 and according to it’s owner last year it had it’s distributor rebuilt and water pump replaced. Production of the 2 litre FIAT Dino was halted in 1969 and replaced by a larger variation which I’ll be featuring in two weeks. Thanks for joining me on this “When is a Ferrari a FIAT ?” edition of “Gettin’ a li’l psycho on tyres” I hope you will join me again tomorrow. Don’t forget to come back now ! 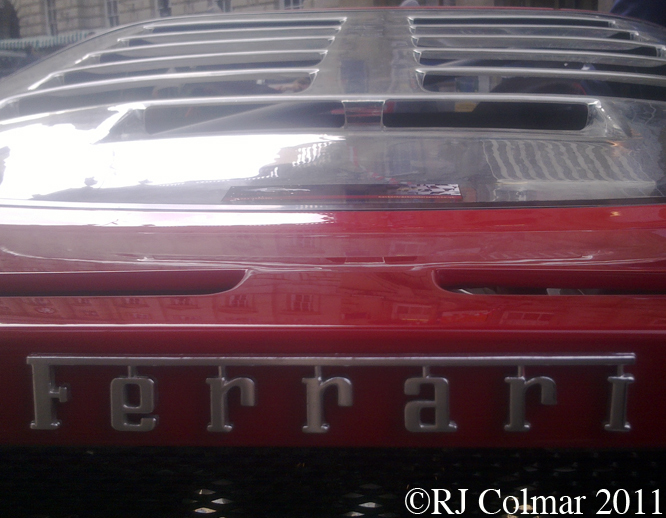 This entry was posted in Uncategorized and tagged Auto, Bristol, Colmar, Dino, Ferrari, Festival, Fiat, GALPOT, Italian, Lamperdi, Moto, Ralph, Spider on June 29, 2012 by Ralph. 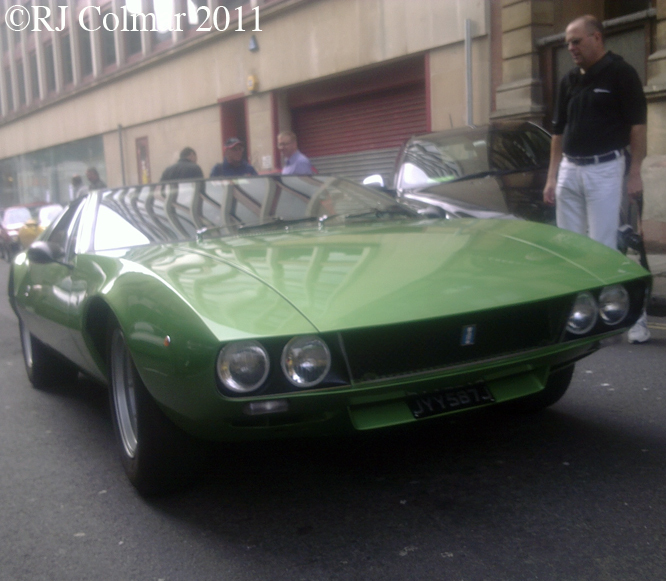 Last weekends Bristol Italian Auto Moto Festival (BIAMF) celebrated the centenary of the foundation of the Bertone coach works. 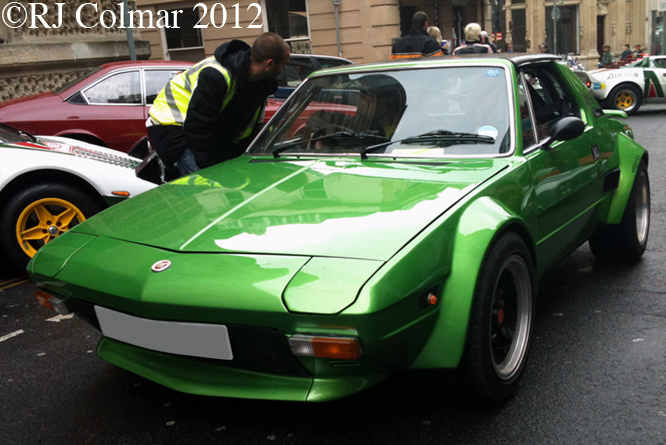 One of the coolest cars in the show was this Bertone designed FIAT X1/9 which has been upgraded with a super charged Lancia Volumex motor. 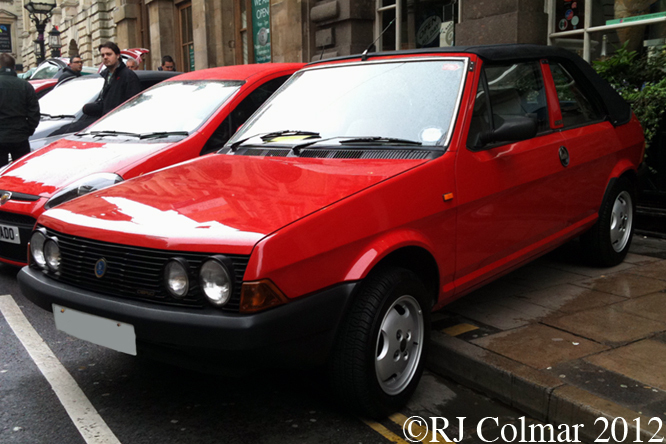 Like the X1/9 the Fiat Strada was designed by Bertone and like the X1/9 the body work of the Cabrio variant was also manufactured by Bertone, above is a second generation Super Strada Cabrio. Note outside the UK and USA the Strada was known as the Ritmo. The Maserati Merak is celebrating it’s fortieth anniversary this year, the tight packaging of the mid mounted 3 litre 183 cui V6 must represent a mechanics nightmare ! Another model celebrating it’s fortieth anniversary is the Lancia Beta which was initially launched as in front wheel drive Belina form as seen above. The first new Lancia to be developed and manufactured under FIAT ownership the final Beta variation was mid engined Beta Montecarlo, Scorpion in the US. 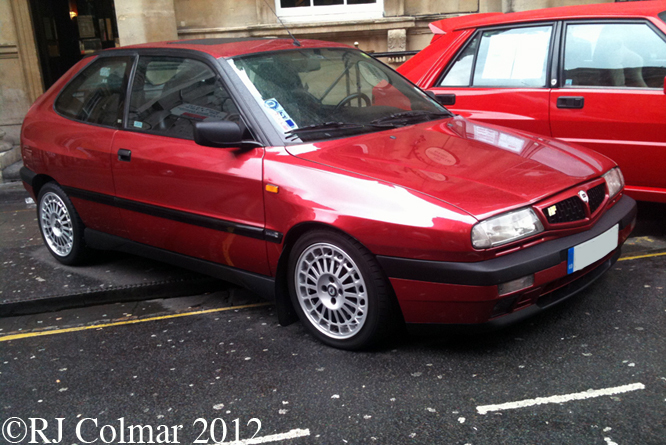 The Lancia Delta is commonly known for it’s square styled Rally dominating four wheel Integrale variant’s, I had completely forgotten there was ever a second generation Delta like the 1997 3 door HPE version seen above. 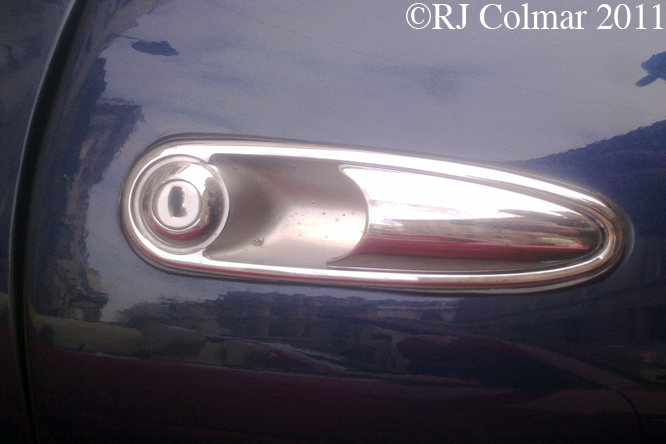 These 3 door HPE models were produced from 1995 to 1999. 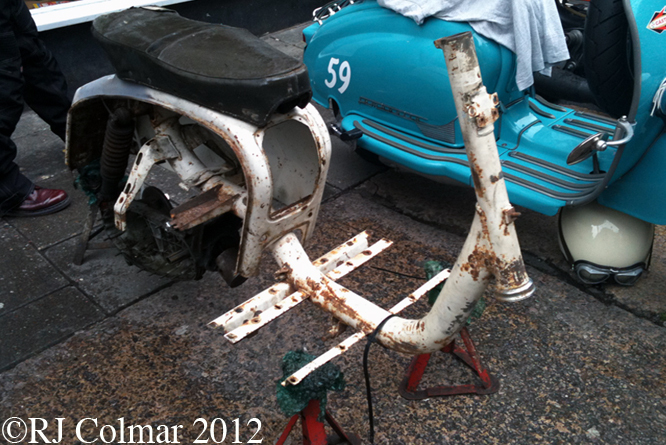 The Bristol Mod Scooter Club were out in force as usual at the BIAMF this work in progress Lambretta suggests their number is growing. 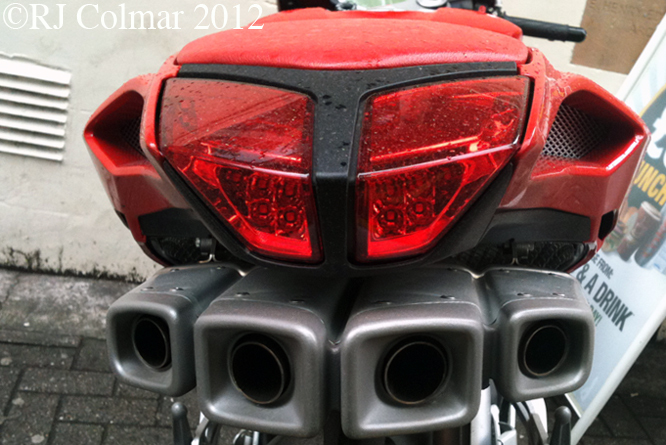 MV Agusta was the featured motor cycle manufacturer of the BIAMF, the tight fit of F4 exhausts look like a work of art. My thanks to everyone involved in putting on the Bristol Italian Auto Moto Festival, looking forward to seeing what gems turn up next year. Thanks for joining me on this ‘Bertone Century’ edition of ‘Gettin’ a li’l psycho on tyres’ I hope you will join me again tomorrow when I’ll be reviewing the Spring Performance Car Action Day at Castle Combe. Don’t forget to come back now ! 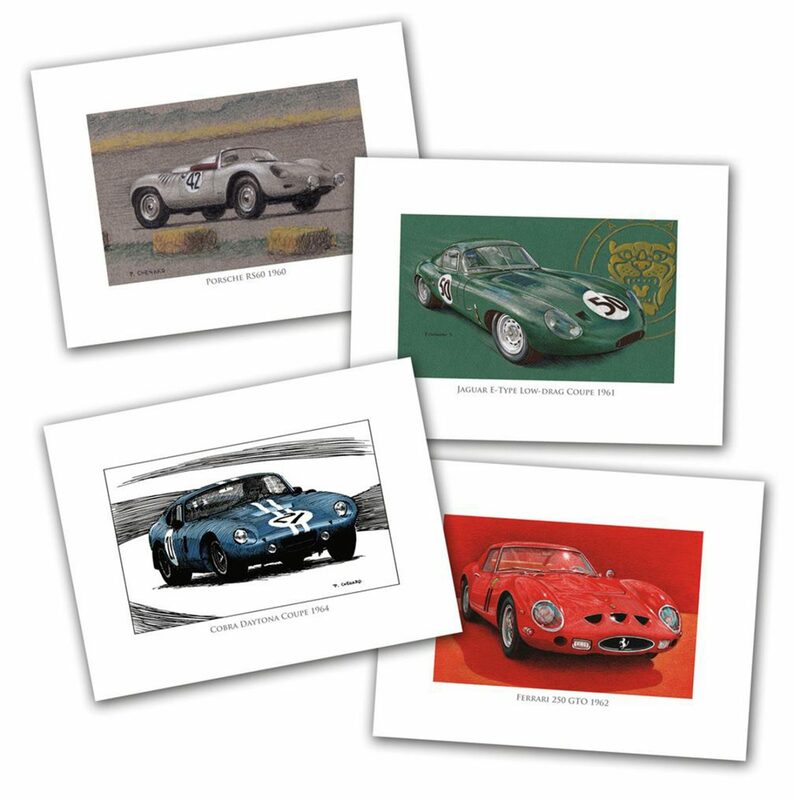 This entry was posted in Uncategorized and tagged Agusta, Auto, Bertone, Bristol, Colmar, Festival, Fiat, GALPOT, Italian, Lambretta, Lancia, maserati, Moto, MV, Ralph on May 6, 2012 by Ralph. 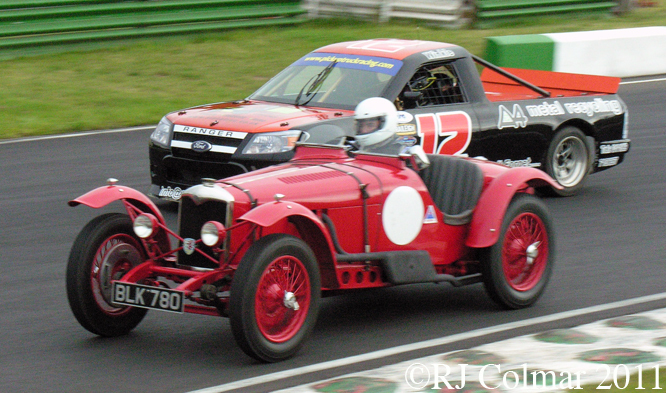 This week I am reviewing the GALPOT year 2011, on Monday I looked at some of the Museums I have visited and yesterday I looked at some of the Concours d’Elegance events covered on GALPOT thanks to Geoffrey Horton, today I am reviewing some the motoring events I have attended which includes any gathering short of a full blown racing. By the end of January cabin fever was setting in and I leaped at the opportunity to go to my first Pistonheads Sunday Service which was convened at the BMW Plant car park just outside Oxford. 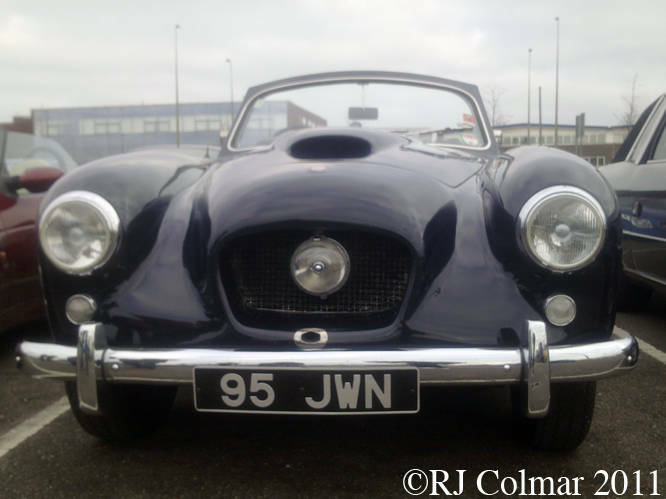 I am not sure how many people attended but I was pleased to see several Bristol’s including this 405 Drophead. 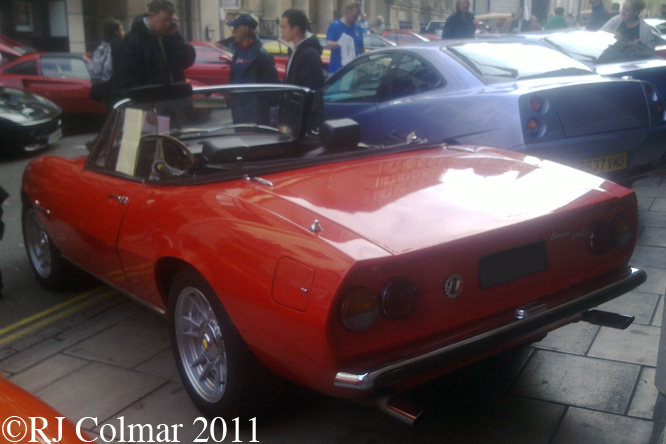 April sees Bristol host it’s Annual Italian Auto Moto Festival a display of all things Italian on two and four wheels. 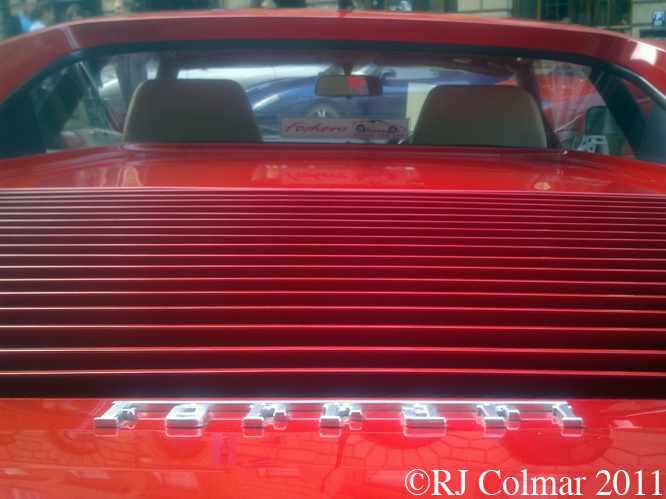 Despite the presence of a fabulous array of red Friday cars the undoubted star of this years festival for me was the Cobra killing de Tomaso Mangusta. I managed to make two trips to Silverstone this year the first for the Silverstone Classic Press Day which was a testing session with a veritable armada of Press Corps present. 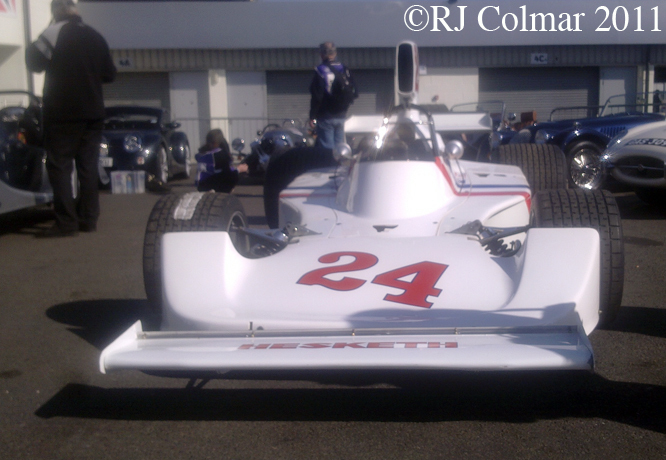 Star of the day was the Hesketh 308B the same chassis that James Hunt drove to Hesketh’s only Grand Prix victory at the Dutch Grand Prix in 1975. 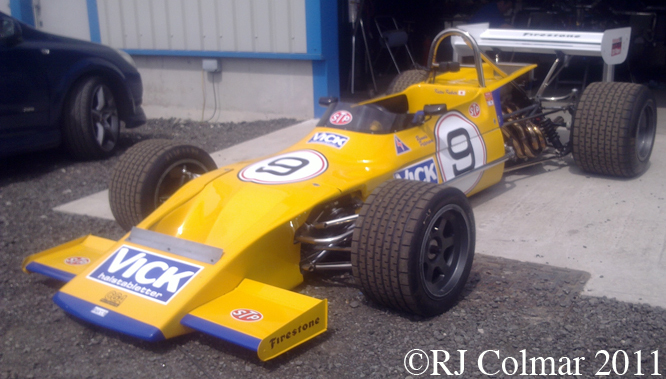 Tony ‘Giraffe’ Gallagher from The Nostalgia Forum kindly organized a trip to CGA Engineering in Warrington where former Lotus employee Colin Bennett and his sons were workong wonders with racing cars spanning the late 1960’s to the early 1990’s including the Formula 2 spec March 71B chassis above decked out in Vick’s livery in tribute to Ronnie Peterson. 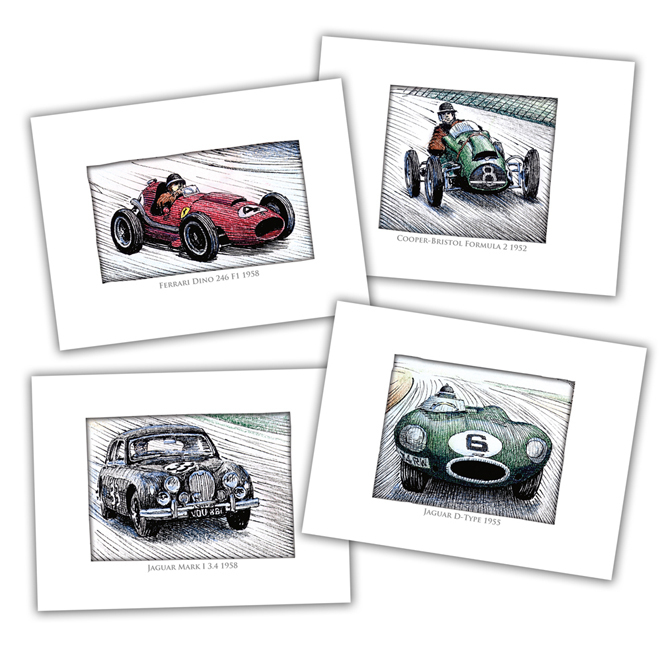 Thanks to the generosity of David Roots from the Bath & West Car Club I received an invitation to attend the Classic and Sports Car Action Day at Castle Combe. 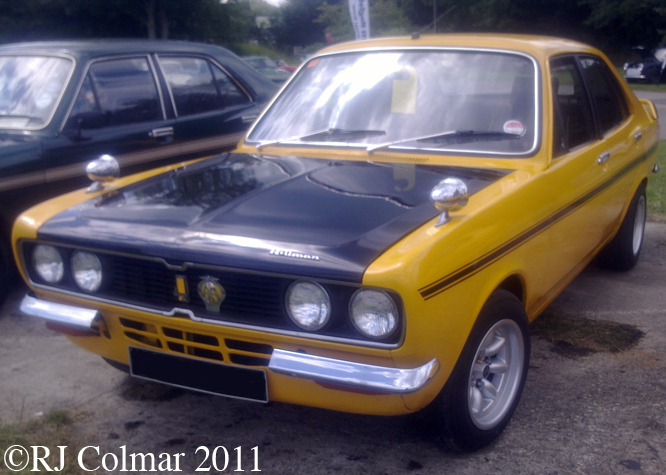 A tight schedule meant I focused my attention entirely on the vehicles in the car park including this Hillman Avenger Tiger Replica. 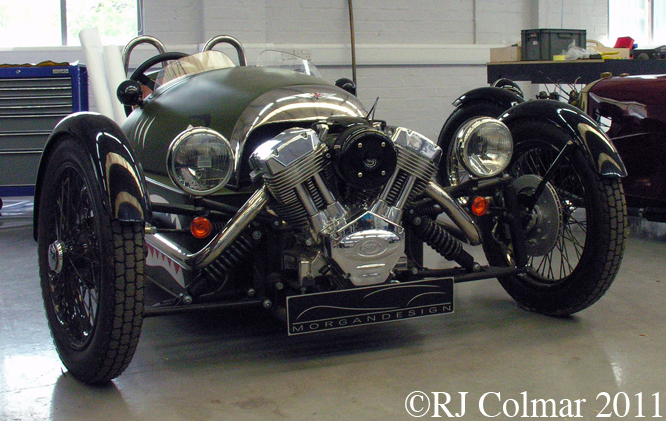 If your a fan of simple joys, it hard to believe that you will not leap at the chance to jump in the dinky little Morgan 3 Wheeler at some point in your life, I saw this one several times during the course of the year at, Silverstone, Goodwood and during several visits to the Morgan factory. 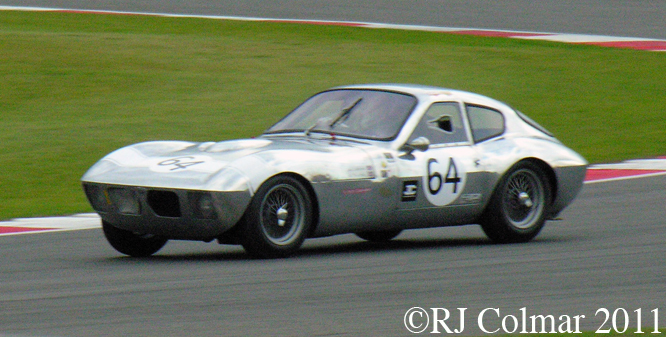 A hectic July weekend saw me pop into the Silverstone Classic for the first of the three days of entertainment, I probably saw more cars in action and photographed more than in any single day in my entire life that Friday. Among the many revelations was this Morgan Triumph SLR which I mistook for some unknown Italian exotica on the day, unfortunately all the action I saw was qualification sessions, I’ll try and make more time for the event in 2012. Many thanks to garyfrogeye amongst many others who helped me out by contacting Mr John Sprinzel who along with the recently departed Chris Lawrence was responsible for this masterpiece of British craftsmanship. If I had my way every Wednesday I’d be up at the crack of dawn, sometimes earlier, and head 125 miles north to Mallory Park for the finest full English, breakfast, that money can buy and enjoy a veritable pot puree of vehicles being run in and tested around the track. Sadly this year I only made it the twice but it was worth it, where else could I see a vintage Riley being driven flat out next to a spec series Ford Ranger ? Thanks to another tip from David Roots I made a, very long, diversion on my way from Bristol to the airport to the Haynes International Motor Museum to see the Rare Breeds show. 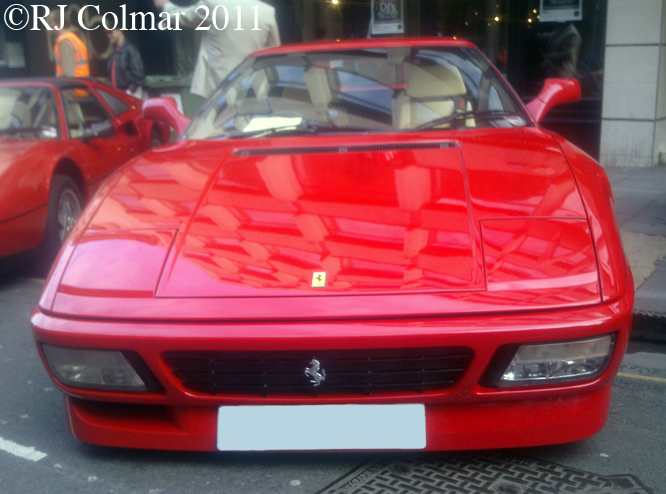 I was not disappointed, I still have many of the vehicles I saw that day to blog about in the coming month. 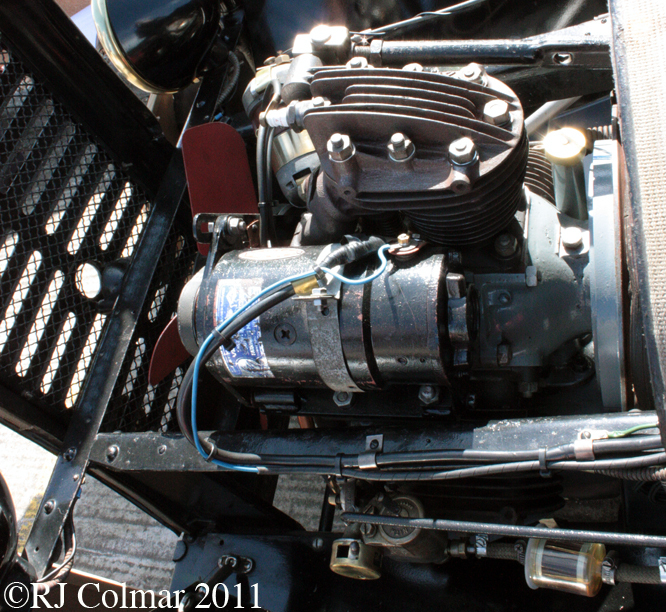 Above is a rotary 3 cylinder motor that tilts to engage the clutch of the Lafitte 5 CV. 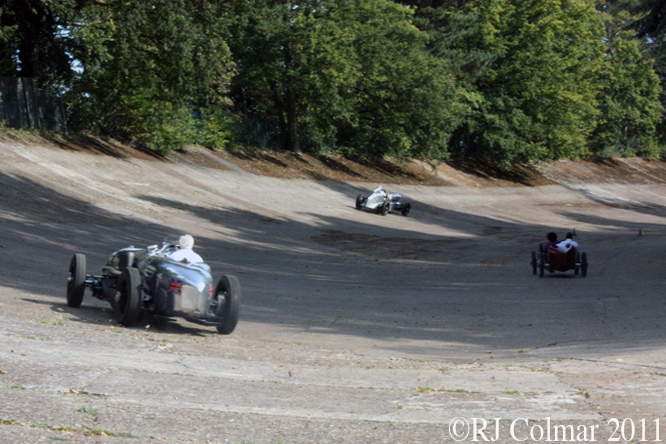 Among many firsts in 2011 I managed a visit to the worlds first purpose built motor racing venue, Brooklands which dates to 1907 and sadly fell into disuse in 1939 with the onset of World War 2. I was there for the William Boddy Tribute Meeting to honor a journalist who was in part responsible for realizing my own passion for all things motoring and who did much to help save what is left of the Brooklands track today. One of the highlights of my motoring year was seeing a handful of cars from Brooklands heyday being driven over the crumbling but none the less hallowed concrete. The day after Brooklands I visited Dyrham Park which used to be a Hill climb venue in the 1960’s where a demonstration of vehicles that were and would have been, entered in the original events took place. 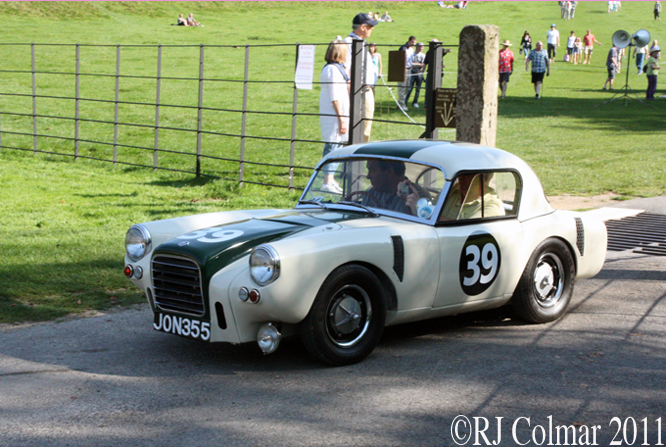 Unfortunately today’s safety requirements make it quite impossible for a modern competitive event to take place at Dyrham Park but it was wonderful to see so many cars being driven with a modicum of spirit up the hill. Unfortunately my hard drive went on tilt after my visits to Brooklands and Dyrham Park so I will not be able to post any further images from these two events. 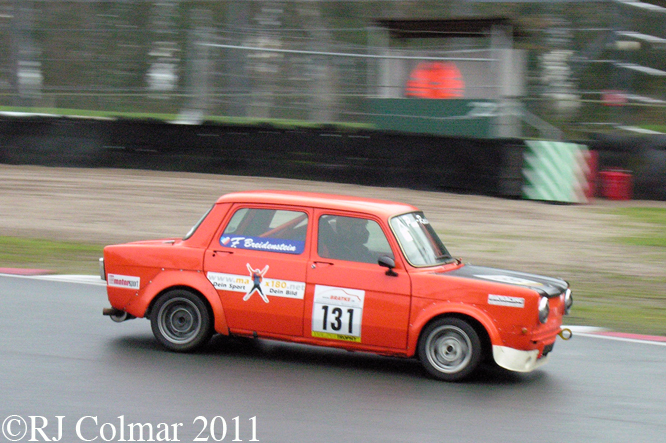 A couple of weeks ago I was near Manchester for a TNF meeting with my friend Tim who had never been to Oulton Park before, so we made the short diversion from a friends house and found a track day in progress, one of the star vehicles was this 130 hp Simca 1000 which once belonged to Frank Breidenstein – President of ”Simca Heckmotor (rear engine) Deutschland”. My sincerest thanks to everyone who made these adventures and the blogs that came form them possible, not least Tim who is both a fountain of useful information and a handy map reader. Thanks for joining me on this events edition of ‘Gettin’ a li’l psycho on tyres’, I hope you’ll join me for a review of 2011’s racing action tomorrow. Don’t forget to come back now ! 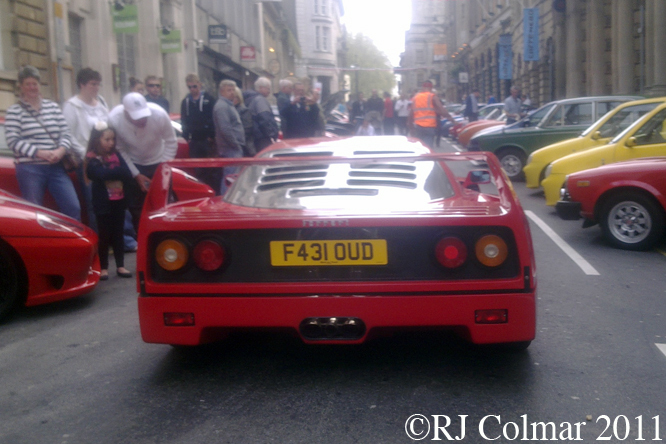 This entry was posted in Uncategorized and tagged Auto, Bristol, CGA Engineering, Classic, Classic and Sports Car Action Day, Colmar, Dyrham, Factory, Festival, GALPOT, Italian, Mallory Park, Morgan, Moto, Oulton, PistonHeads, Ralph, Rare Breeds, Silverstone, Sunday Service, Tribute, William Boddy on December 21, 2011 by Ralph. 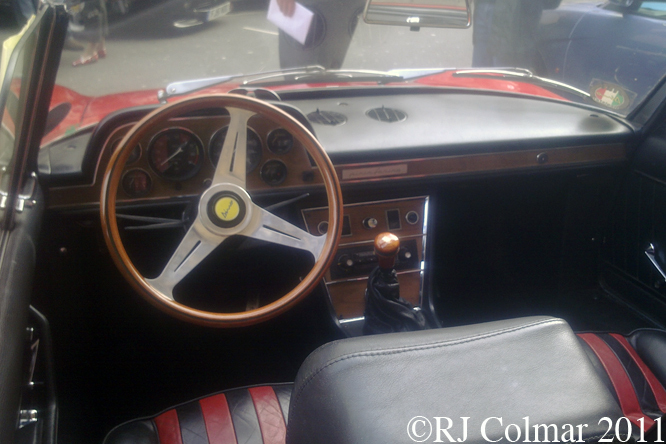 Allegedly an oafish TV presenter of a well known pseudo comedy motoring program who probably couldn’t tell you the difference between a gear knob and a knob of butter once described the Ferrari 400 as ‘awful in everyway’. 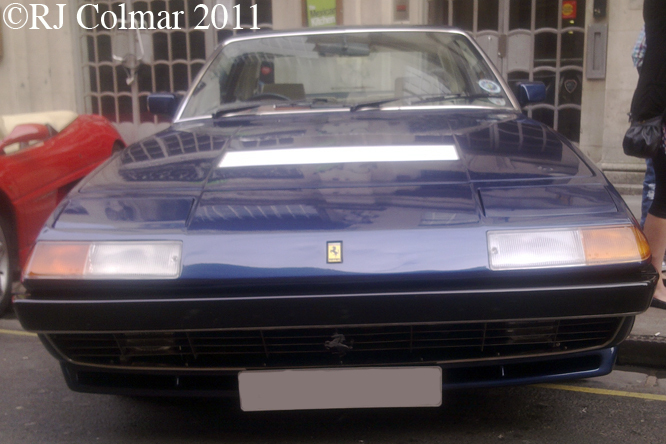 Personally I don’t see how any car with a chassis that owes it’s heritage to the Ferrari Daytona and with a Ferrari V12 engine, no matter how strangled to meet emissions regulations, can be awful in any way. Certainly the 400i body, designed by Pininfarina, is not as appealing as the GTC and Daytona models that preceeded it but IMHO it’s seventies boxiness is a good deal less retro and a good deal more appealing than the mindset of the oaf described in the opening paragraph. 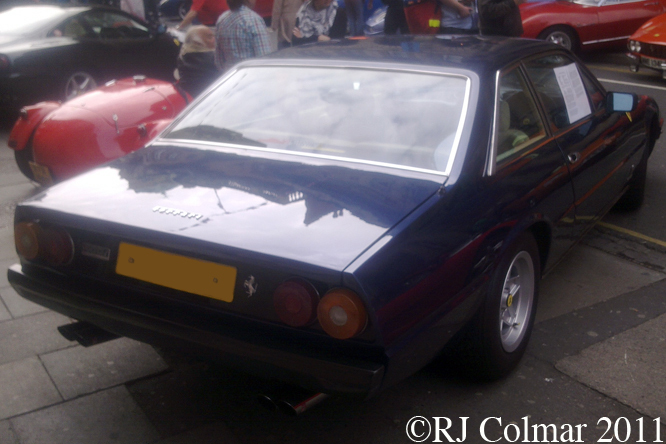 The coupé was first launched as the 365 GT 2+2 in 1972, by 1976 that model was re badged the 400 which became the 400i in 1979, when this particular car seen at Bristols Italian Auto Moto Festival was built. 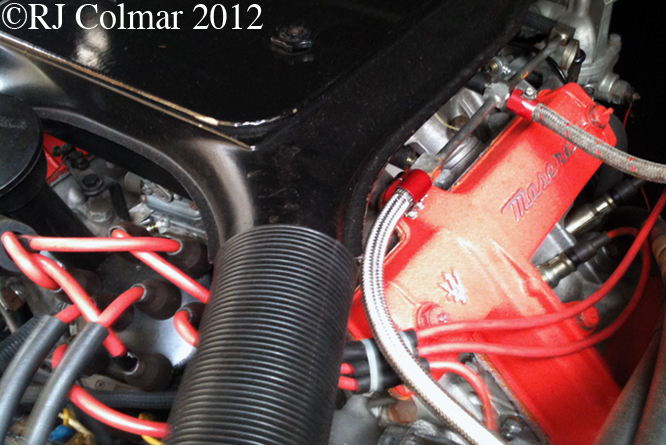 The ‘i’ denotes fuel injection which was fitted in place of the previous carburetors. 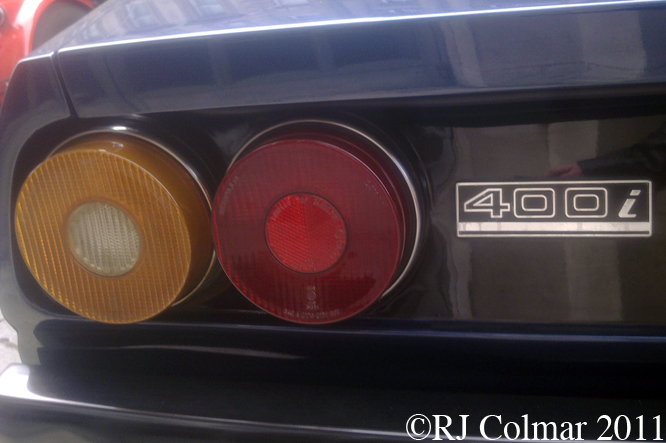 Although compliant with US regulations, unlike the 365 GT4 Berlinetta Boxer, none of the 422 manual GT or 883 Automatic 400i variations, or indeed any Ferrari 400 models were officially imported into the United States, doubly surprising since the 400 was the first Ferrari to be offered with automatic transmission. Thanks for joining me on this fuel injected edition of ‘Gettin’ a li’l psycho on tyres’, I hope you’ll join me again tomorrow. Don’t forget to come back now ! 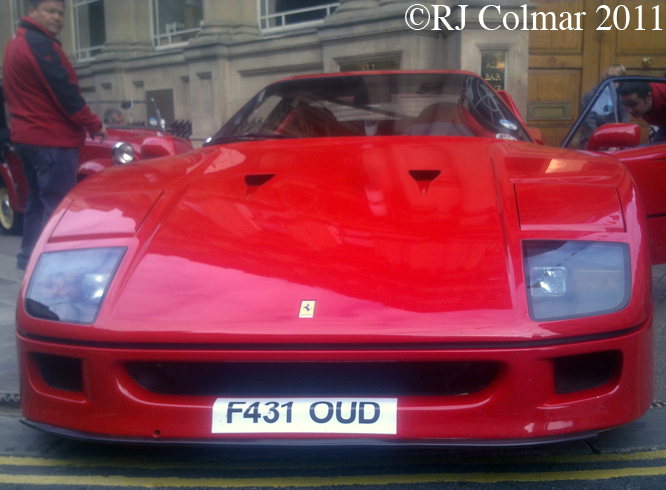 This entry was posted in Uncategorized and tagged 400i, Auto, Bristol, Colmar, Ferrari, Festival, GALPOT, Italian, Moto, Pininfarina, Ralph on November 11, 2011 by Ralph. 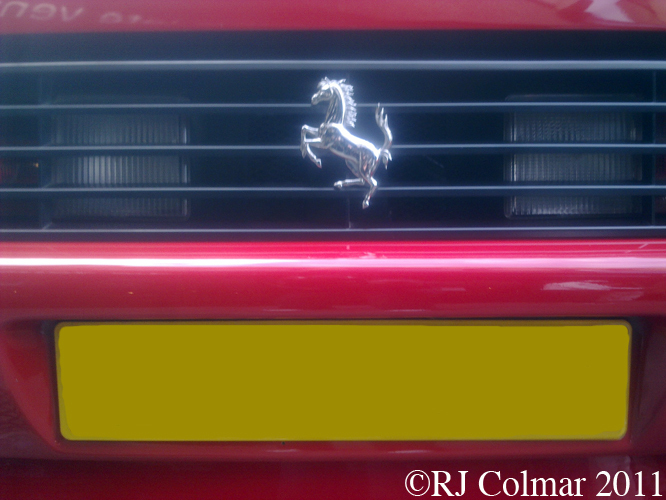 Today’s Ferrari Friday blog is dedicated to the person who first suggested Ferrari Friday blogs to me many months ago, Jr Cracker, otherwise known to me as Mike who’s Birthday it is tomorrow. The Ferrari F40 what was technical tour de force intended to bring together 40 years of learning and achievement in one road vehicle to celebrate the first 40 remarkable years in the story of Ferrari S.p.A.
With a tested 200 mph capability the F40 held the title of worlds fastest production car, when it was launched in 1987, to underline it’s technical superiority. The F40 was not only the companies most powerful and fastest car, but at US$ 400,000 in 1987, it was also the most expensive car Ferrari had ever offered for sale. 1,315 examples of this type were manufactured between 1987 and 1992 the last of them selling for a rumoured US$1.6 million. 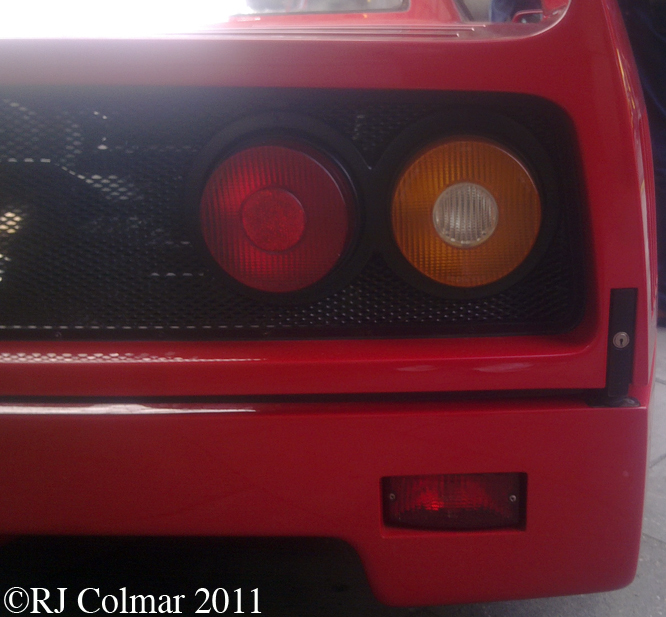 Many of the technical specifications were advanced from the Ferrari (288) GTO including the twin turbo V8 engine which in this application was increased to 3 litres / 183 cui producing 470 hp. 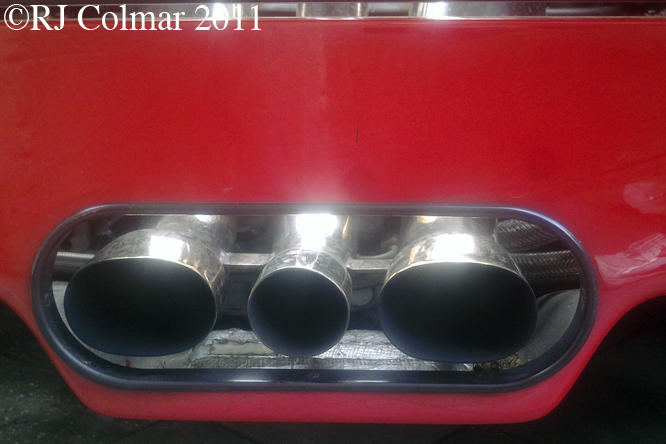 Keeping such a powerful motor cool in such a small vehicle required ventilation through the rear screen. 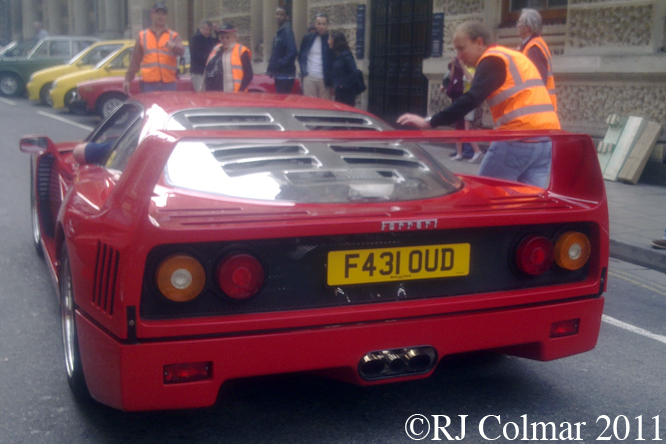 Until 1990 F40’s like this particular 1989 example, seen at the Italian Auto Moto Festival, were bereft of power sapping catalytic converters. During Bonneville Speedweek 2006 Amir Rosenbaum recorded a top speed of 226 mph in his lightly modified F40, standard versions could reach 120 mph in just 11 seconds faster than both the Lamborghini Countach and Porsche 959 which were it’s main competitors. 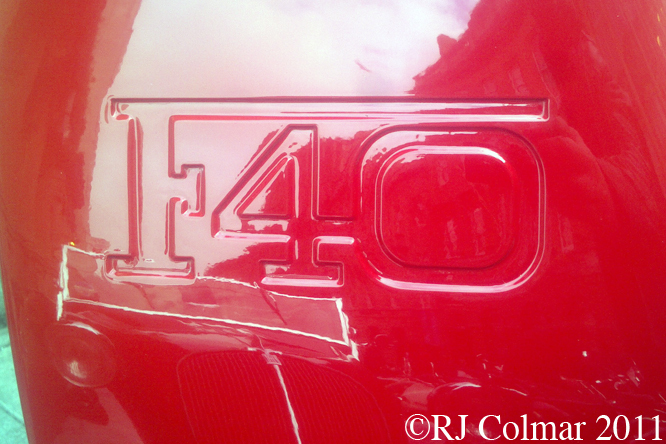 Enzo Ferrari knew when setting out the specifications of the F40 that this would be his final engineering statement and it was indeed the last vehicle bearing his own name that he was to commission before his death aged 90 in August 1988. 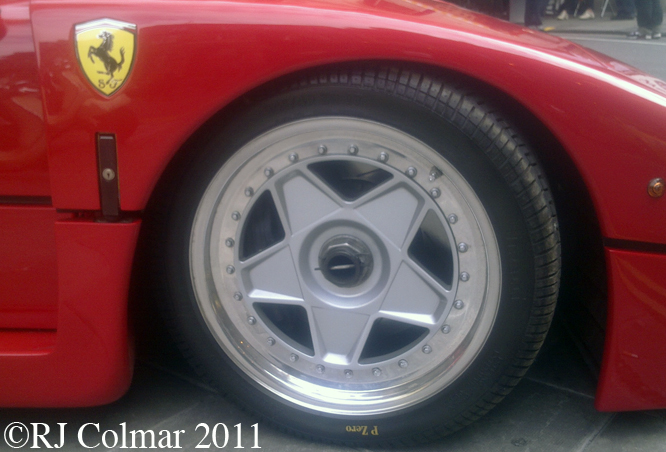 Thanks for joining me on the F40 Edition of ‘Gettin’ a lil’ psycho on tyres’, I hope you will join me again tomorrow. Don’t forget to come back now ! 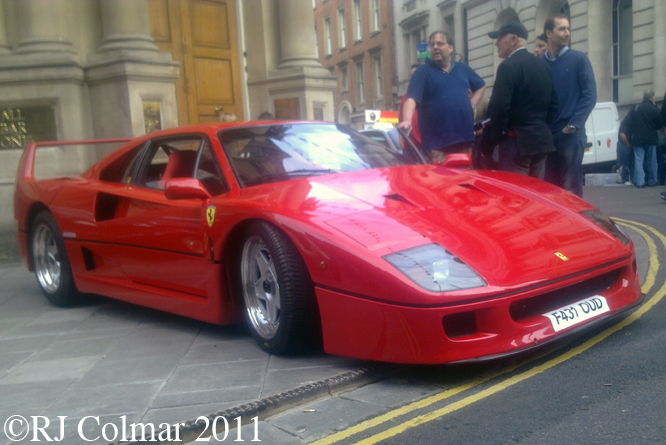 This entry was posted in Uncategorized and tagged Amir, Art, Auto, Bristol, Cracker, Enzo, F40, Ferrari, Festival, GALPOT, Italian, JR, Mike, Moto, Rosenbaum, Sportscar, Tidesco on September 9, 2011 by psychoontyres. 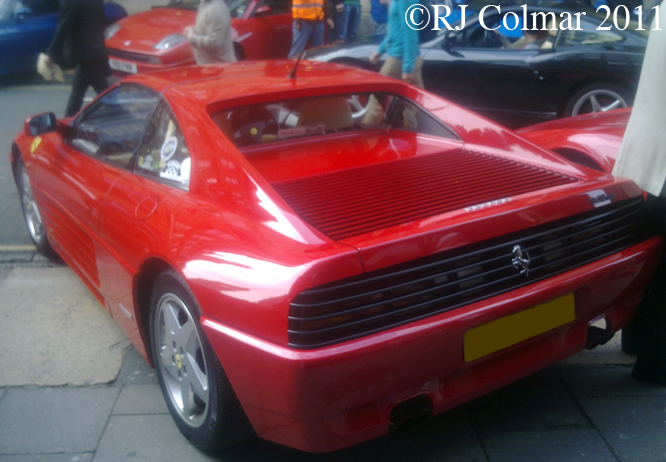 On Monday I looked at the GMC Syclone that was faster than a Ferrari, up to the 1/4 mile, today I am looking at the Spyder version of the Ferrari 348 that Car & Driver pitted the Syclone against in a road test. 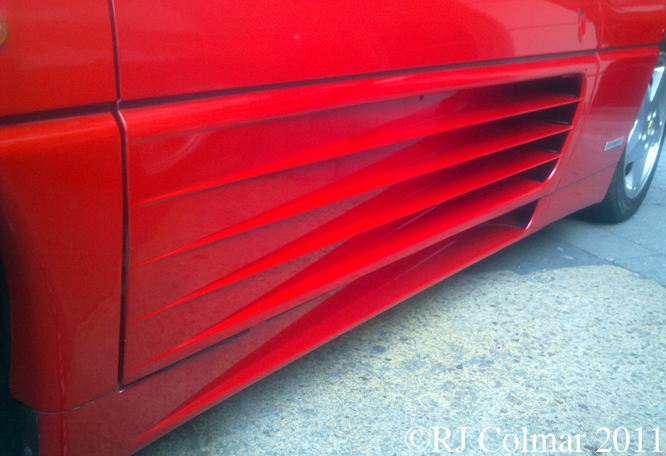 taking many of it’s striking styling queues from the Testarossa launched in 1984. The side mounted radiators meant passengers did not get toasted by the radiator pipes that ran alongside the cabin of the earlier 328 which featured a radiator mounted in the nose. The 300 hp V8 motor was mounted longitudinally with a transverse gearbox ahead of the rear wheels, the opposite configuration of the earlier 328 which featured a transverse V8 engine and longitudinal gearbox. While the Syclone proved faster than the 348 up to the 1/4 mile it soon ran out of puff when it reached 126 mph meaning this is the view Syclone drivers would get of the Ferrari as it powered up to 166 mph in a straight race. 8844 of these vehicles were produced from 1989 to 1995. Thank for joining on this Ferrari Friday edition of ‘Gettin’ a lil’ psycho on tyres’, I hope you will join me again tomorrow. Don’t forget to come back now ! 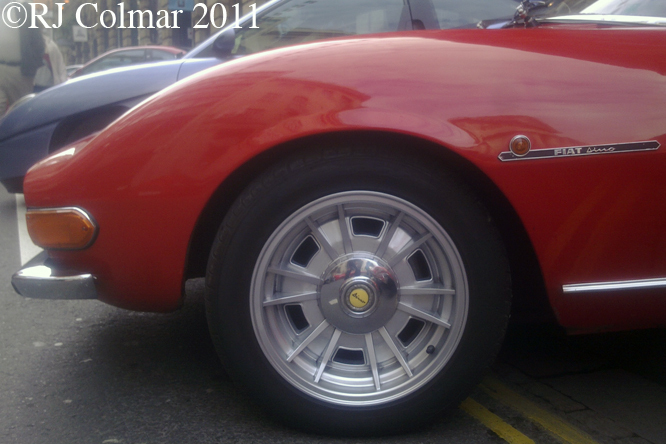 This entry was posted in Uncategorized and tagged 328, 348, And, Art, Auto, Bristol, Car, Driver, Ferrari, Festival, GALPOT, GMC, Italian, Moto, Syclone, Testarossa, Tidesco, TS on August 12, 2011 by psychoontyres.